Computer technology however, even after such sophistication in technology does not meet the simplicity requirements of common people. The simplicity requirements bar is at a position where even illiterate and non-English speakers are meant to receive or send their messages. Also the differently-abled people are at other end where the language requirements play crucial role in conveying their messages. These essential requirements comprise a field in computer technology and is composed of two terms Localization (L10n) and Internationalization (I18n). Here's where we come in. The third-world countries are populated with the least computer aware people. The causal factors could be many but the availability of cheaper computer devices and digital media has not been properly utilized. They have not been utilized -- if not unused -- because they are all built in one language - English. To many, learning English is still a luxury in these places. Nepal is one of such countries where English is not widely used. 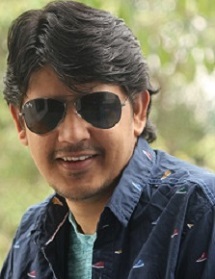 Therefore, computer use and its applications has hardly been practiced in Nepal. However, recent efforts have shown some promises. These promises led primarily by us have made people not only computer aware but also produced huge difference in perception of digital devices. We have worked on translation, software localization amongst some of our works. Translation is the process of converting English to Nepali or Nepali to English without destroying the essence of the message conveyed. English to Nepali conversion requires in-depth understanding of both languages. English and Nepali are quite different languages in terms of origin and in terms of the parts of speech arrangements in a sentence. However, we provide the best translation services from English to Nepali. Also, the opposite, that is, Nepali to English translation requires similar understanding. However, Nepali to English is a complex process since, Nepali language is rich when it comes to the depth of expression in sentences. Many words get lost in translation and many emotions do not reach during the translation. Thus a much more elaborate understanding is required in this case. English to Nepali although similar to Nepali to English, is a comparatively less difficult translation process. We, deliver the best of the services available in this sector. Interpreting is one of the other subsidiary job that we do. In fact, we do it seriously. Interpreting English to Nepali and Nepali to English as well as Hindi to Nepali is an important task that could not be left aside in our work. Our team provides the best interpretation services to our clients. 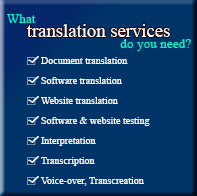 We help in interpretation of the above mentioned languages and we also focus on transciption of documents. Transcription, yet another related part in our services is also handled by our experts in the field. 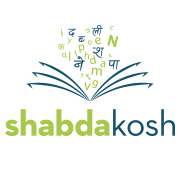 We are proud to say that we are a one-stop solution when it comes to linguistics work in English, Nepali and Hindi. Among other related and coherent jobs we provide services on desktop publishing. This job caters at giving its customers a 100 percent satisfaction. Desktop publishing work is suplemented by our designers who have been expertise in this field for years.